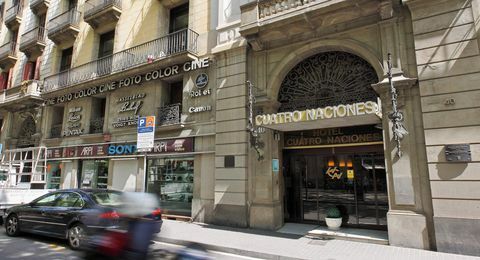 Quite affordable in light of its extremely central location on Las Ramblas, the Hotel Cuatro Naciones has been providing basic rooms for more than 200 years . Turn-of-the century style unfolds in a lobby decked out with high crown molding, wrought ironwork, and marble galore. A sweeping staircase leads to 54 simplistic rooms with white walls and punchy pink bedspreads and curtains.Floors are smooth stone mosaic. There's also an elevator, if stairs aren't your thing. 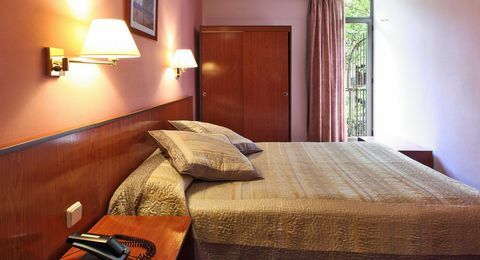 Fourteen of the rooms offer sweeping views of La Rambla. 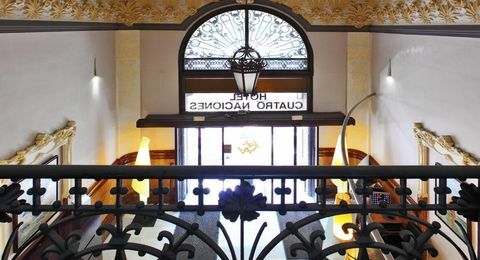 The first floor salon is a must-see, featuring hotel-related news clippings through the ages and signed photos and memorabilia of the hotel's most famous guests. 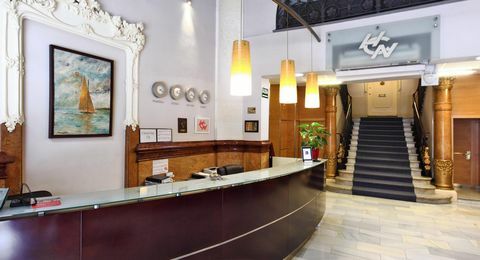 Barcelona's now modest Hotel Cuatro Naciones was once one of the most luxurious in the city and c has played host to illustrious guests ranging from Stendhal to Pirandello, Buffalo Bill and Einstein. There has been a flourishing city and port on this site for well over 2000 years..